Happy Thanksgiving from all of us at Mansouri Family Dental Care & Associates. We’re grateful to live and work in such a great community in the Atlanta area. We’re proud to offer our comprehensive dental practice to for you to restore and enhance the natural beauty of your smile. You may be asking yourself, “What is restorative dentistry?” Restorative dentistry focuses on restoring the health of your teeth and gums. The word “restore” implies that something must be lost to need restoration in the first place. 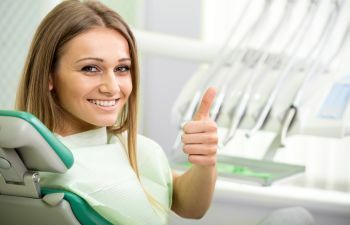 When it comes to your dental health, often times restorative dentistry refers to replacing a missing tooth. It can also refer to restoring health to your teeth and gums that has been lost for various reasons. If you’ve had restorative work performed on your mouth, there are things you can do to maintain the integrity of your restoration. Maintain your regular at-home dental care routine of brushing your teeth in the morning, at night and after meals to reduce and prevent plaque build-up. Ensure that you are cleaning around your teeth, dental implants, crowns and bridges every day using dental floss or interdental brushes. You may use a mouth rinse to help rid your mouth of plaque bacteria. Avoid chewing on sticky or hard foods that could compromise your dental work. If you are looking for a way to restore your smile, call Mansouri Family Dental Care & Associates today!